The deadline for young kyu players who want to compete in the North American Kyu Championships is Feb. 3rd, with the tourney itself held Feb. 7th, on KGS. Kids and teens (under the age of 18) who are members of the AGA, CGA, Gimnasio de Go, or MGA, may all enter in the event. 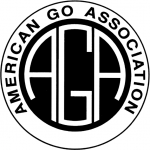 With thousands of dollars in scholarships available, to both the AGA Go Camp, and US Go Congress, kyu players of any rank should enter. Prizes will be awarded roughly every five ranks, starting at 25 kyu, and working up to 1 kyu. The registration form is here, more information is available here.